When it comes to high-quality factory automation sensors, turn to Stapleman Corporation in Glendale, WI. Our company offers premier sensor products from the world’s leading brands: Williamson, Wilcoxon and OpTest. Having been in the industry for more than 3 decades, we have assisted countless industrial clients in getting the most suitable factory automation sensors for their businesses. You can be confident that with us, you receive professional assistance and first-rate sensor products. Williamson Corporation is a manufacturer of infra-red temperature sensors that has been in business since 1951. This is a family owned company that is interested in advancing the technology of infra-red temperature sensing. Their goal is to make the best non-contact temperatures sensors on the market, sensors that no other manufacturer is making. The products are made in the historical town of Concord, MA. Can't get any more American than that. Most companies that make IR sensors are large conglomerates that make these products in a minor division. 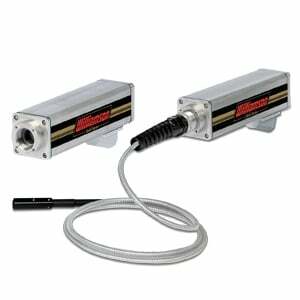 At Williamson, IR temperature sensing is the only focus. Nothing else gets in the way. It is this product, nothing else. Because of this focus, their technology is several steps ahead of everyone else. Williamson puts their energy into one thing – making IR temperature sensors. Companies come to Williamson because their sensors work where others fail. As their representative, one of my biggest problems is convincing people that a Williamson sensor can get the job done when so many others have failed in the past. 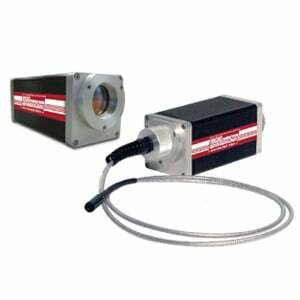 Their dual wavelength sensors use a single sensor approach that allows for accurate measurement down to 200 degrees Fahrenheit. No one else is making a multi-wavelength sensor that can make accurate measurements of bright metals like aluminum. 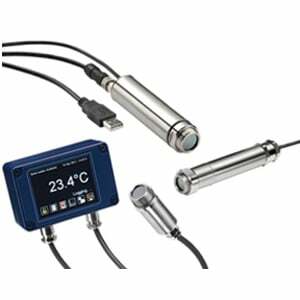 While their high-end sensors are like no others, Williamson does have a very broad product line with some of the most economical industrial temperature sensors on the market. Because it is a family owned company, they do not need layers and layers of profits to take care of other divisions and stock holders. Their high-end sensors will work where nothing else will, while the less expensive sensors make accurate measurement economically feasible. Throughout their history, Williamson has known that sensing IR energy at different wavelengths can produce accurate information under difficult conditions. I first started using Williamson sensors back in 1973 while working for a company that made controls for electric infra-red heating systems. Only Williamson sensors could report the true temperature of the target in the presence of intense infra-red energy given off by the heaters. This focus on wavelength has been a common theme in the company during its long history. OpTest was born of necessity. Visual test and analysis of pulp, paper and board was very subjective. Panels of employees would look at paper and rate sheets for cleanliness, formation, print quality, or other properties that affect the end use of the product. OpTest designs optical testing instruments that have high repeatability, reproducibility, and adhere to Tappi and international standards. That way the results are meaningful and can be compared. TAPPI/ISO standards mean the analyzer is built to meet tests that are recognized industry wide. 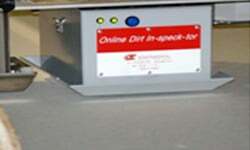 You know what to expect, whether it is a laboratory instrument or an on-line analyzer. From instrument to instrument you get the same results. Different divisions of the company can ensure that the results will match. Some of the original instruments are still in service after 20+ years of operation. They can be calibrated to specific standards. From people that really care about your experience with the product. No call centers or computerized answering systems. 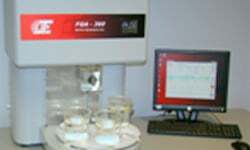 Get the same answers from on-line process control monitors and lab testing. Equip your business with state-of-the-art factory automation sensors and ensure smooth, efficient processes. 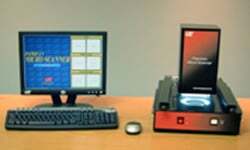 We served as the go-to manufacturer’s representative of many companies throughout the US. Be a satisfied client today when you partner with us! For more information, feel free to get in touch.